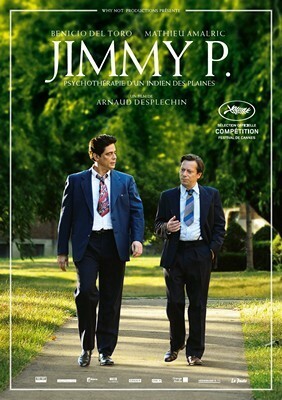 Worldview Entertainment has sold the U.S. distribution rights to Arnaud Desplechin’s drama, JIMMY P.: PSYCHOTHERAPY of a PLAINS INDIAN, to IFC Films. The film, which stars Academy Award® winner Benicio Del Toro and Mathieu Amalric, made its world premiere in competition at the 2013 Cannes Film Festival and made its North American debut at the New York Film Festival earlier this month. Desplechin co-wrote the screenplay with Kent Jones and Julie Peyr, based on the book "Psychotherapy of a Plains Indian" by Georges Devereux about his relationship and multidisciplinary study of Jimmy Picard, a Blackfoot Indian, who fought in World War II and suffered from psychological distress. Pascal Cauchetuex and Jennifer Roth produced while Worldview’s Christopher Woodrow and Molly Conners executive produced with Patrick Milling Smith and Ben Limberg. IFC is expected to release the film in early 2014. ”JIMMY P. is a sophisticated and moving film and we are happy to partner with IFC after getting such a strong reception in Cannes and New York,” said Worldview CEO, Christopher Woodrow. The deal was negotiated by Arianna Bocco, SVP of Acquisitions, on behalf of IFC Films, and CAA on behalf of Worldview.